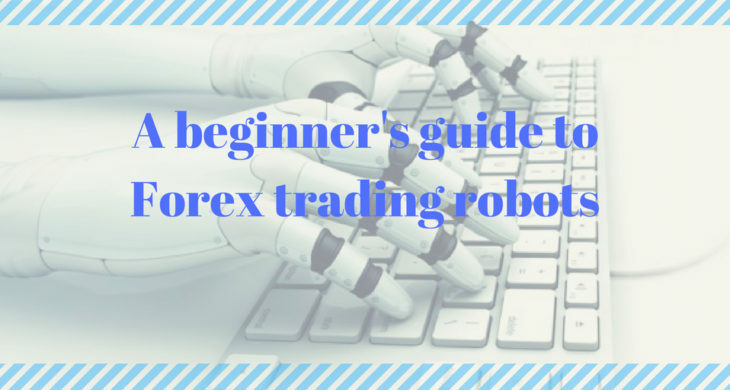 What are Forex Trading Robots? What Can The Forex Robot Do? Advantages That Comes With The Usage Of Forex Robots. Signs of a truly profitable forex robot. As we are all aware, the forex market is a system that allows traders to make profit from the price action of securities by making correct predictions of the direction of the price movements of these securities. Some have failed in this endeavor whilst others have won and keep winning. Over the years, many strategies and methods have been adopted in order to make forex trading easier. Different analytical methods like fundamental analysis, technical analysis, and sentimental analysis have been developed in order to help make close enough educated predictions. Other tools like the stop orders have also been created in other to minimize losses. Another forex trading option that has become popular amongst traders is the forex robot trading. This article will explore why forex automated trading is becoming a preferred option for traders. This article will also explore questions like, what are forex robots, what are the advantages and disadvantages of using forex trading robots, how to use forex trading robots etc. Forex trading robots are used by traders to perform forex automated trading. It was previously being used by huge trading firms but in recent times, it has been employed by many forex traders whose numbers keep increasing. It begs the question what exactly are the forex trading robots? Are they metallic human structures that are being used to make trades on the market? No that’s too unrealistic. Contrary to what you may think because of the word robot, it is basically a computer program that is run by forex software. The most common amongst the forex robot software is Metatrader. Most forex robots are made solely for Metatrader 4/5. There are other software options such as TradeStation, ninja trader and many more that can be used by traders to make their trades. Forex robots can also be termed as forex expert advisors or forex eas. Eas is the abbreviated form of expert advisor. There are about three types of trading options. This classification is based on the level of robotics that a trader implements in his trade. This type of trading option is without any form of assistance from robotics. It’s the old-fashioned way. The forex trader does all the work by himself. From the point the decision to trade is conceived to the point he trades. Some traders still prefer to do it the old-fashioned way. Others prefer to mix things up. They sometimes trade the manual way and sometimes use robotics. The forex automated trading option involves the use of forex trading robots. The robot has been programmed to make decisions based on certain market trading conditions. When these conditions are met, the robot may place trade orders as instructed on behalf of the trader. As the name implies, half manual half robotics. It’s a combination of both forex trading robots and manual trading. The robot may offer trading signals to the trader when certain market conditions are met but it would not place trades. The trader would also then check for other conditions which might not be within the working parameters of the forex robot like news reports before placing trades by himself. These robots have been programmed to trade based mainly on technical method of analysis. For instance, a trader can set the forex robot to open trades only when there is a moving average crossover. Forex trading robots can automate almost every trading strategy that the forex trader wishes to use all you have to do is to input it. As long as the trader can properly define his strategy, it is very likely that it can be programmed into the forex robot. The reason for the use of the word “almost” is because there are some fundamental analysis that the forex robot might not be able to analyze as well as a human would. A classical example is understanding the impact of market news. It is impossible for anyone to sit all day and watch the forex market as events unfold. Then again it is possible to miss trading opportunities when the trader is away from his screen. This is when forex robots become useful. With forex robots, all the trader need to do is to run it on the trading software and the robot will watch the market on the traders behalf all day without missing a millisecond. It can either place trades or alert the trader of trading signals all based on the traders input. This should not come as a surprise. We are all familiar with calculators. The robots are very useful for certain forex strategies that require quick calculations. They can also execute certain trades faster and better than humans, especially in volatile market conditions. As stated above, you can set your robot to search for certain market conditions whilst you can remain occupied with other activities. This way you will save your self some time whilst accomplishing two tasks at the same time. It is impossible to miss trading opportunities when using forex robots unless the machine has broken down. Otherwise, once you make your input into the machine, it will ensure that you don’t miss out on any trading opportunity as far as the input parameters are concerned. It is sometimes hard to follow our own market plan. We find it hard to close trades after we have made profit based on the trading plan because we of greed for more profit. Instead, we wait in expectation of more profit and before you know it you have lost altogether or gotten a lower profit. Forex automated trading takes away all these possible scenarios and many more. By using forex traders we follow the plan exactly as has been inputted into the machine. Most often, certain trading strategies require complex calculations, indicators, and accuracy. Forex robots can make complex calculations faster within the shortest possible time without making errors as well as implement trading decisions faster than any human. For the time it will take for a human to manually make certain calculations regarding a trading strategy, the price action might have been changed. This is one of the most important and useful feature of forex robots. Backtesting means to simply make use of past data to determine the results of a trading strategy. It is possible to do it both manually and automatically. But it is much effective to do it using forex robots because you will be able to test a trading strategy over many years of historical data within minutes. There are many websites and companies selling already made forex robots on the internet. These companies mostly promote the forex robots in such a way that it seems like a perfect system with history of how profitable it has been over the years. This will then convince you to get one because, in your mind, forex robots will guarantee a hundred percent chance of success on the forex market. I would think again if I were you. Allow me to explain. It is of absolute importance that traders become cautious when purchasing ready-made robots as many of these companies do not disclose the exact risks involved to their customers. Many people have fallen prey to the lies some of these companies preach about their forex robots. People hope for quick cash without putting in any effort, therefore, falling victims in the end and eventually losing their trading account. How does this happen? A typical example of this is the fact that some forex trading robots do not place stop-loss order on their trades. They only close trades after making profit. This makes trading with these robots risky. Because if the market suddenly moves in the opposite direction as expected, the trader will lose huge sums of money. Ego it is of high priority that traders find out about the particular forex robot before making purchase. The only way to prove that a forex robot has the potential to be profitable is for it to be repeatedly tested over demo accounts, history data, and live accounts. It is also important to find a forex robot that is suitable for your risk tolerance level. Traders should also be aware of the fact that the market is ever changing. Although past events will most likely give some level of insight into the future but it is not a hundred percent guarantee. Are forex robots profitable ? The question you should be asking yourself is if forex robots were so successful why will the inventors need to sell them in the first place? Many of the forex robots being sold out there are not profitable. This is because it is not an easy task to create a profitable forex robot. The creators use all sorts of means to entice you to purchase these forex robots. People then buy it only to realize that it does not perform as was initially promised and intended and by then they would have lost huge sums in their account without any means of gaining them back. Suffice to say, profitable forex robots do exist but they are not an easy find. There is no such thing as a perfect forex robot. The measure of a profitable robot is by the number of wins over losses. A profitable forex robot needs to have tight stop losses. A forex robot that wins consecutively due to a small profit target and a huge stop loss cannot be classified as a truly profitable forex trading robot. For a forex robot to be deemed as truly profitable, it needs to have adaptive market features. It can either adapt automatically or the trader can make some adjustments that will allow it to adapt to the changing market conditions. Many forex robots do not have adaptive features. This is because it is not an easy task to programme a forex robot to have adaptive ability. Ego they are profitable only for a period of time. Despite the fact that forex robots may sound complicated and difficult, it is relatively easy to use run on Meta Trader 4. Open an account with a forex broker that permits forex automated trading. Lick on MQK$ in the folder > Expert Advisors. Save the forex robot in this location. Click on view at the top left > Navigator. A window would pup up. Search for the forex robot you downloaded in this window. It will be under the expert section of expert advisors. In case the forex robot is not found, close the Meta Trader window and restart it all over again by simply closing the window for Meta Trader and reopening it. Meta Trader 4 navigator window. Once you have found the expert advisor, you enable auto trading by simply clicking on the auto trading button. An alternative is Ctrl + E.
By dragging the forex robot onto the chart, it begins to run. What will happen when my computer is off? Despite the fact that your computer is off, the forex robot will continue to run as long as you do not remove it from the chart. It can also be removed if you programme it to be removed automatically after a certain period of time or when your set conditions for trade are met. The forex robot only runs as long as you open Meta trader 4. If you close Meta trader 4 or shut down your pc, it will also automatically stop running. If you need forex trader to run for the whole day, you need to leave your computer on or an alternative option is to use forex VPS service which permits you to run forex robot on a private server. Forex traders who intend to start using forex trading robots need to be very careful else they will get scammed. There are lots of hungry people out there who will take advantage of your ignorance and talk you into buying forex robots that will only cause you more harm than good. The best way to stay out of their crossfire is to stay informed and know what you want to buy before you make purchase.